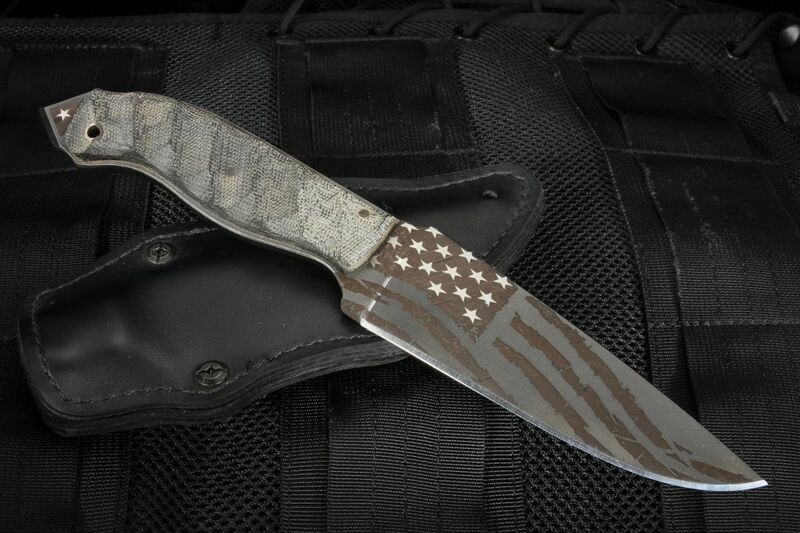 Daniel Winkler is a known devotee to the craft of knife-making. 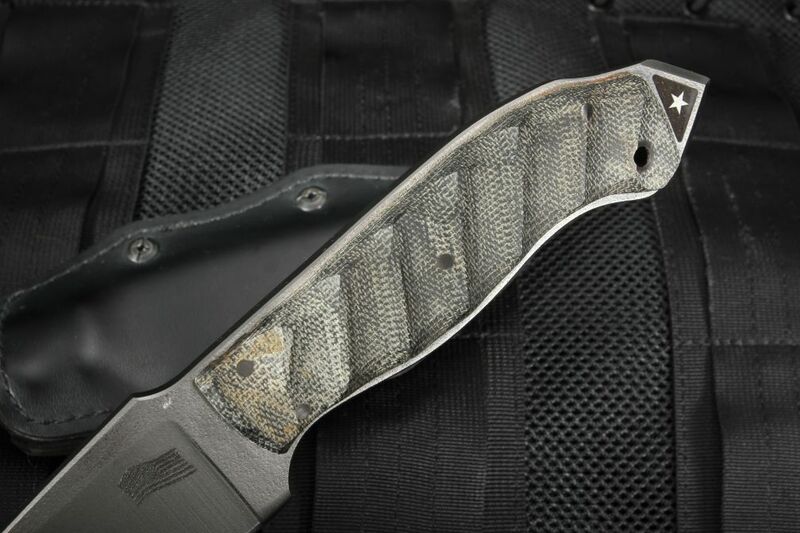 Having worked in collaboration with elite military units, including the Navy SEALs, Winkler has built an astounding reputation for himself and his knives over the years. 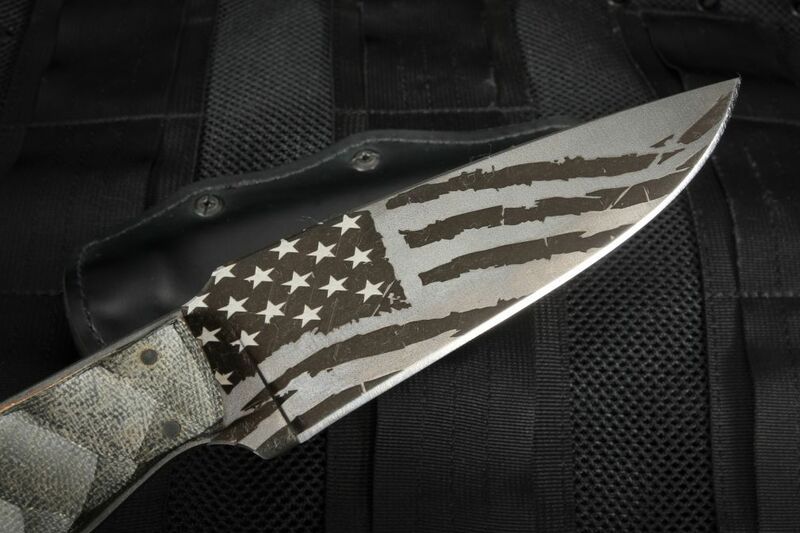 With the Special Edition Spike, he has created a very special edition with an American Flag etch, ionbond coating and sculpted black micarta handles. The Winkler 2 Spike's 5.25" 80CRV2 Carbon Steel blade has a protective grey ionbond coating to ensure that it can withstand the elements through repeated uses. 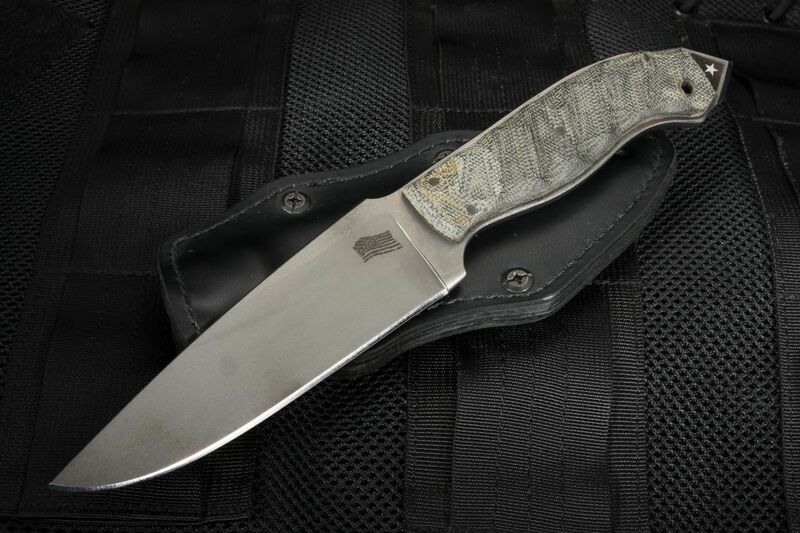 The handle is constructed from a sculpted black micarta handle and is a full-tang construction. The Spike also comes equipped with a glass breaker at the end of the handle, adding to the knife's utility - it is etched on both sides with a star. The handle is shaped so as to fit your hand when reverse-gripping to use the glass breaker, an ergonomic innovation and useful feature. The Winkler II Spike is a hefty tool. At 4.75" folded and 6.9 oz., this medium-sized tactical knife packs a real punch for its size. 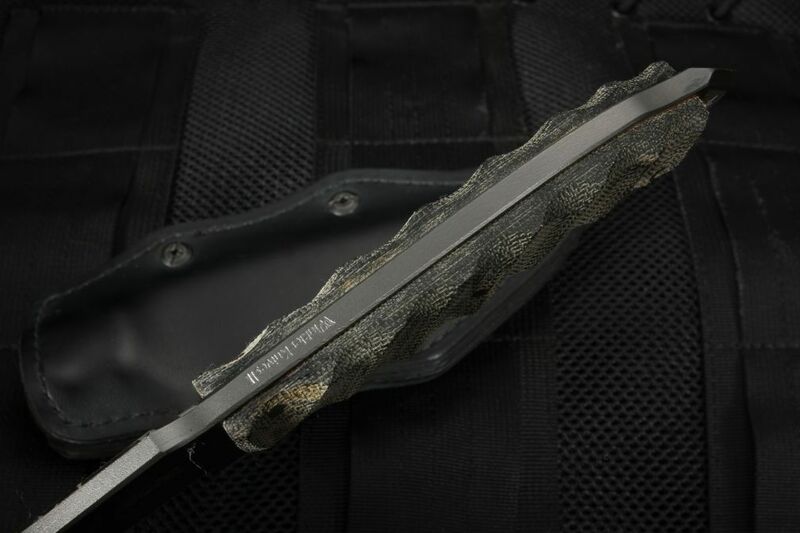 For carrying, the Spike comes with a Kydex lined black leather sheath along with a lanyard hole at the base of the handle. This means the Spike can be carried in a multitude of positions - whichever suits your purposes and preferences. Winkler has gone above and beyond our expectations with the Spike fixed blade knife.